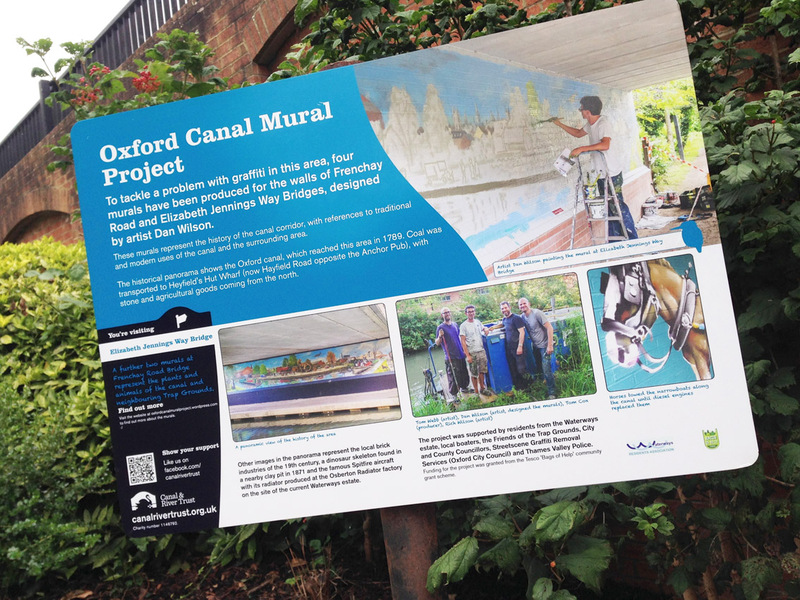 Decreate is proud to have Art Directed and co-produced this outstanding public art project which addressed an ongoing vandalism issue and to instead provide a stunning gateway to the City from the busy canal that local residents and recreational users could be proud of. 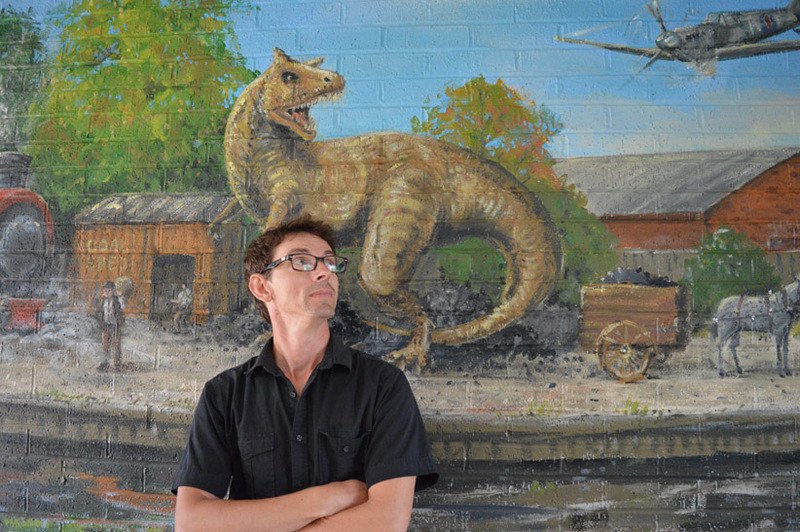 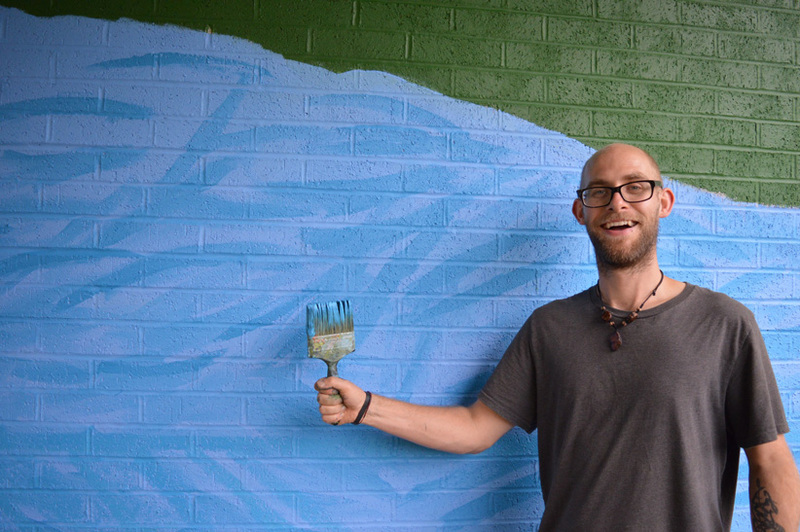 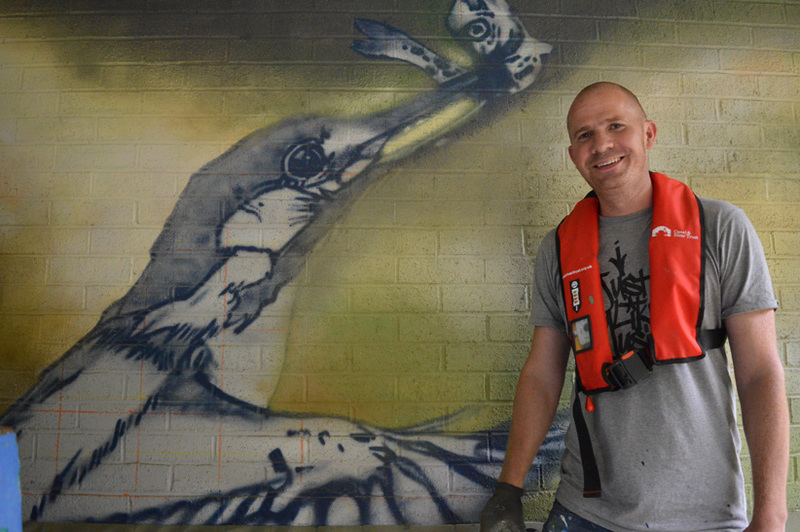 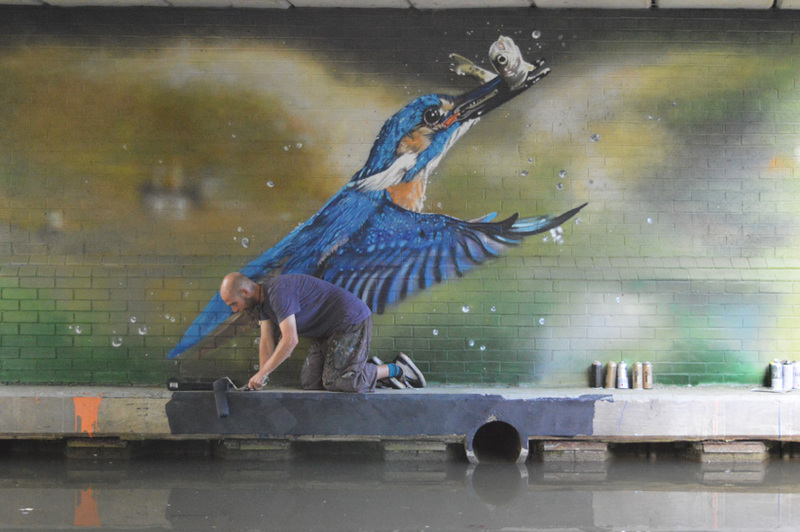 From conception to realisation, Dan has worked with Project Manager Tom Cox, the Canal & River Trust, local people and Authorities as well as talented fellow artists to deliver these four stunning murals in Summertown, Oxford (August ’16). 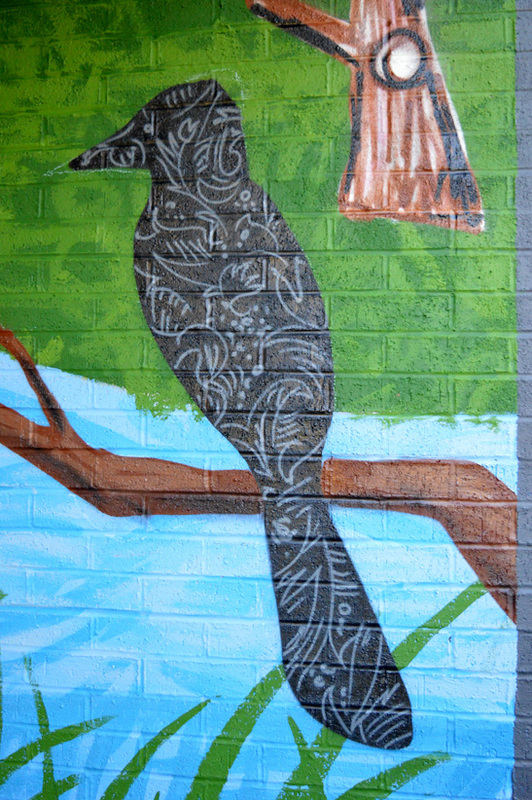 Distinctly different yet all bound together, the designs were conceived by Dan. 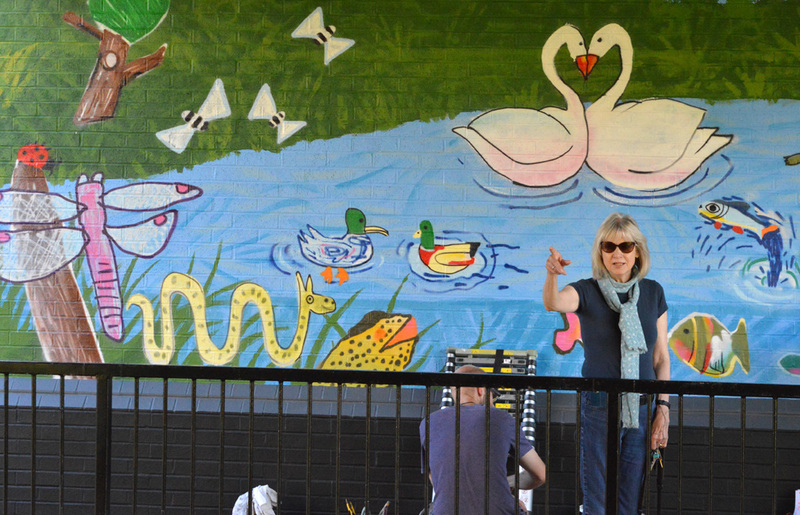 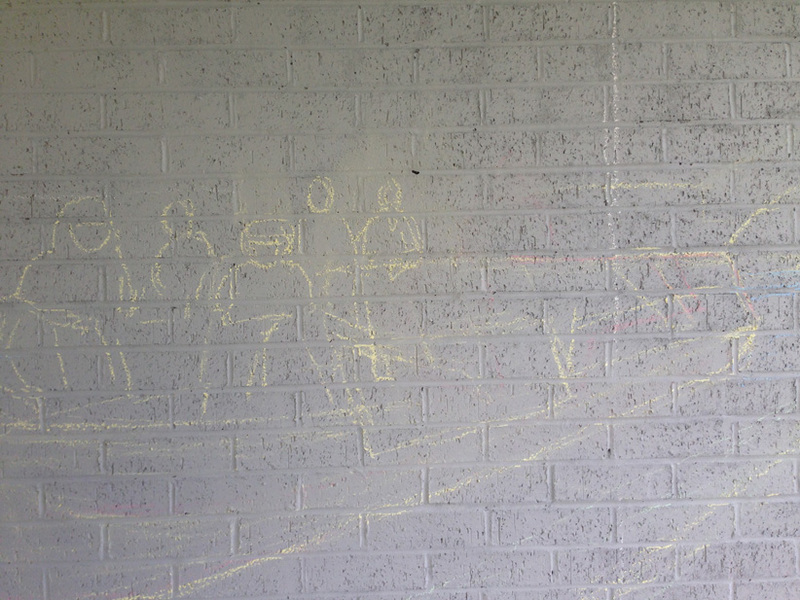 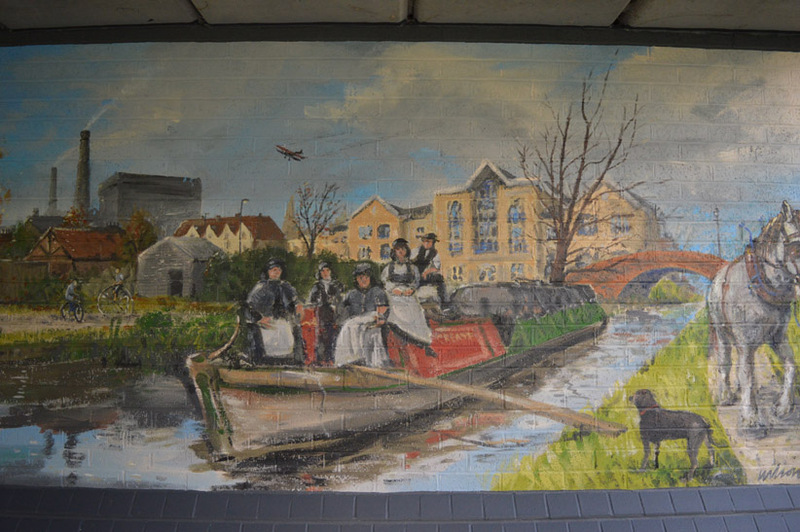 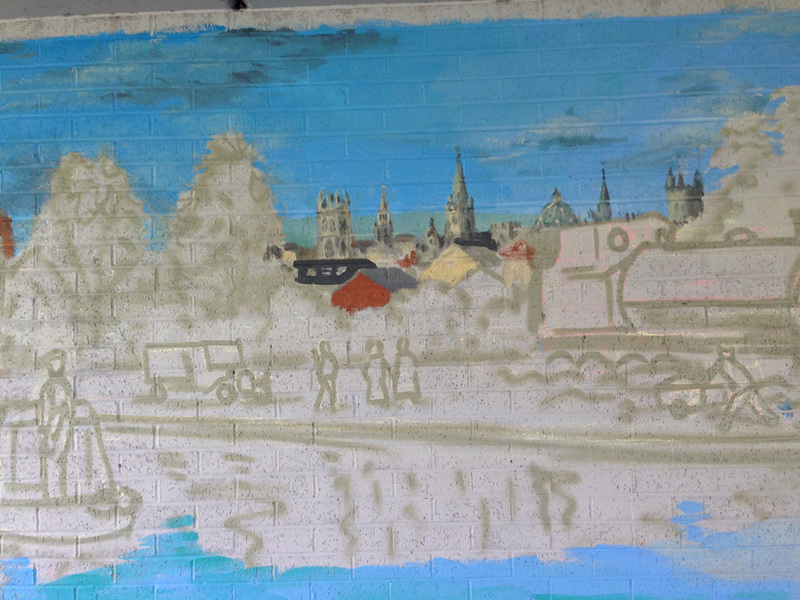 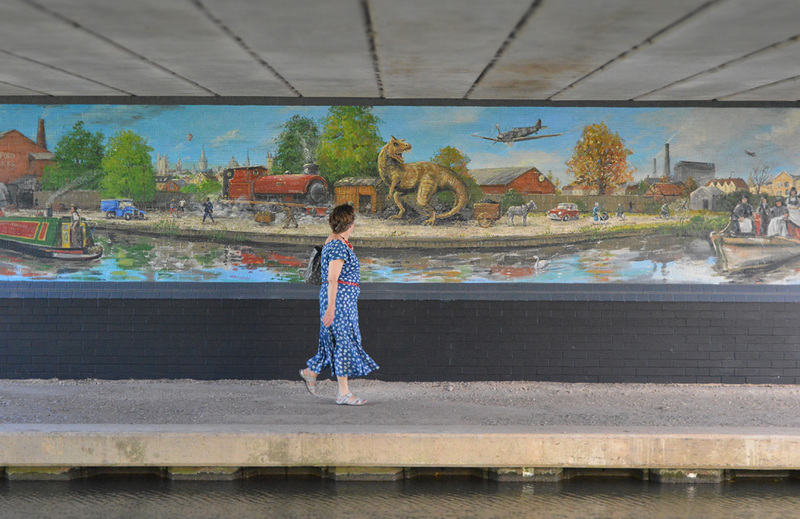 The fourth mural was to be inspired by entries from a public competition whereby local organisations and schools were asked for submissions; these were voted on by the public during a River side festival. 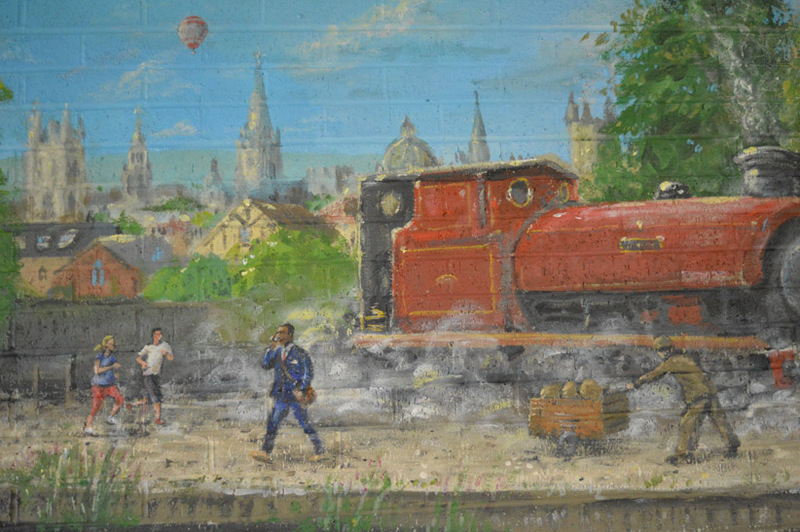 Using updated materials and techniques, these are contemporary takes on traditional painting forms: Impressionism, Signwriting, graffiti, super-realism, and childrens doodles. 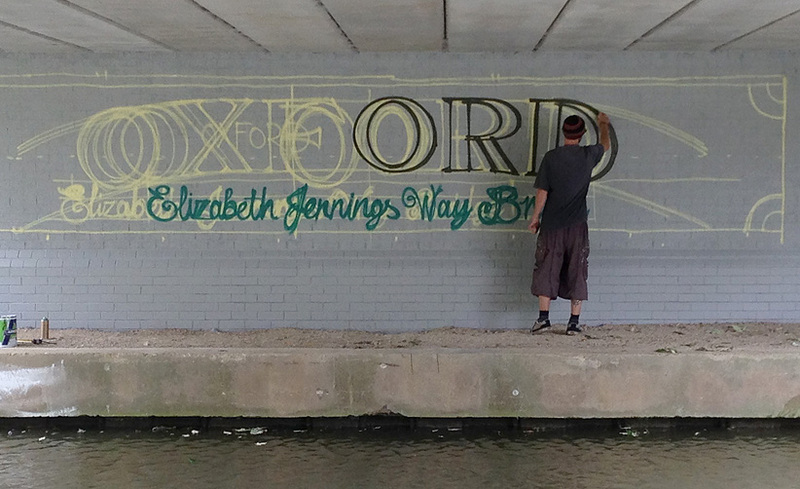 Elizabeth Jennings Way Bridge is Historic with references to lives on this part of the canal through 300 odd years. 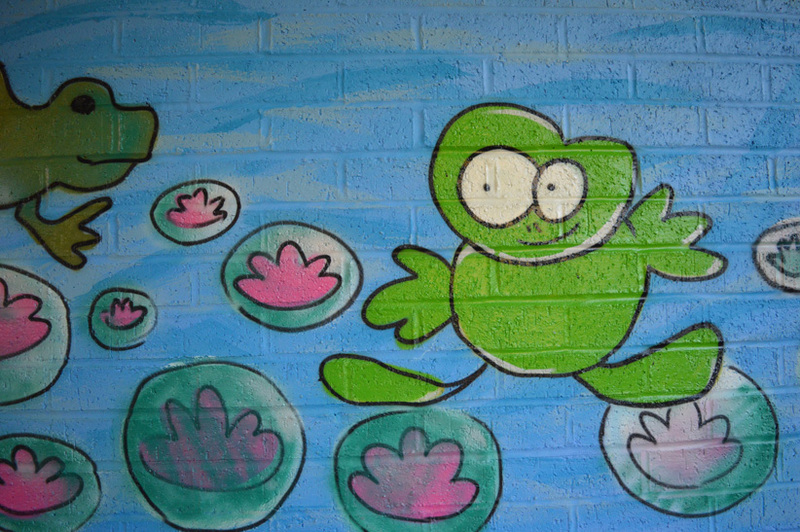 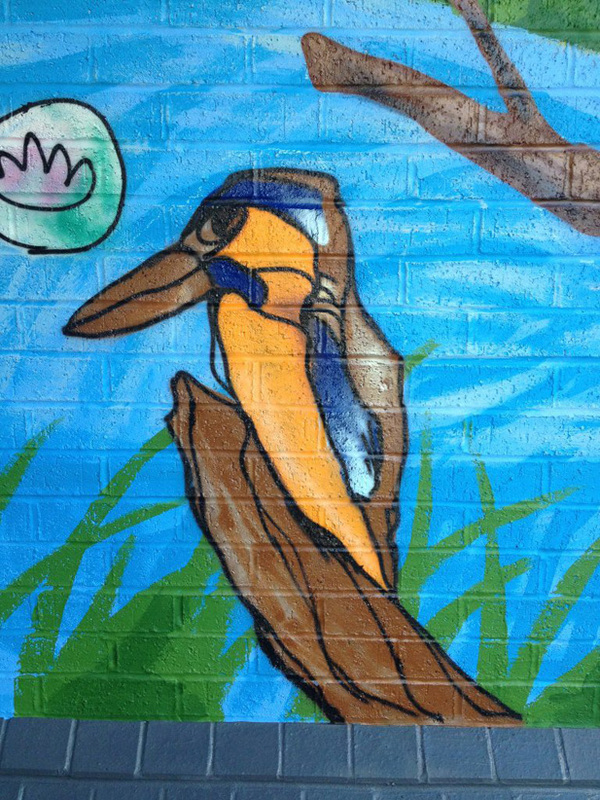 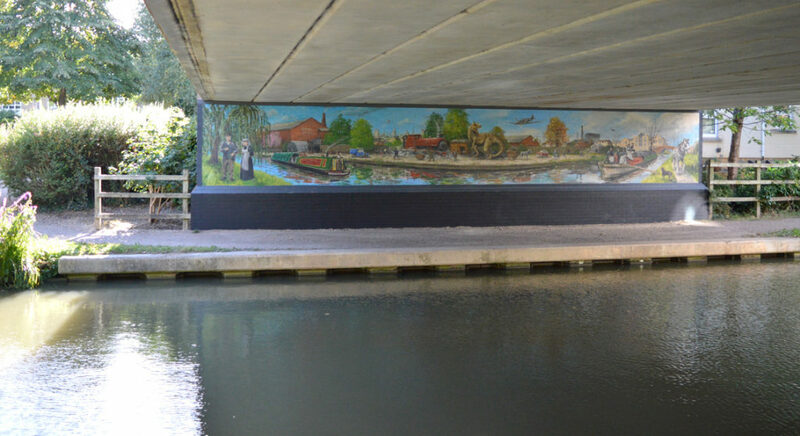 Frenchay Road Bridge is Environmental, being next to a unique nature reserve the murals feature local wildlife. 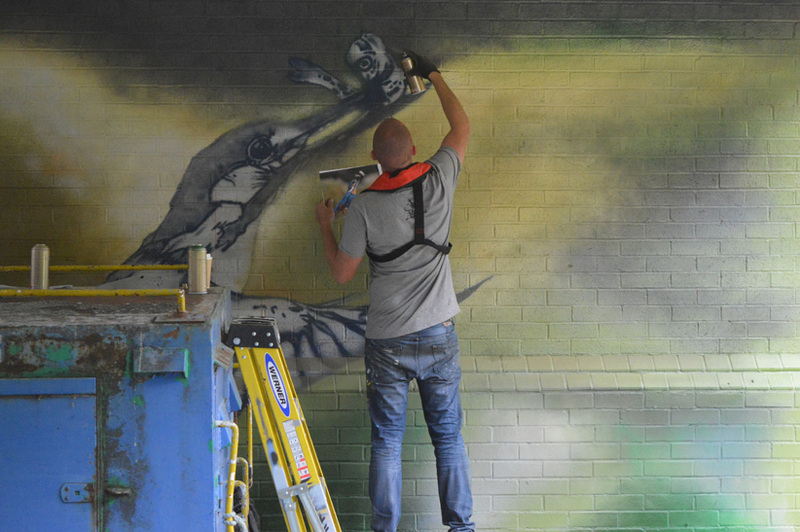 Dan painted wall 1 himself and drafted in contemporaries to help produce everything in good time, with super-real spraycan-specialist Richard Wilson taking on the Kingfisher and the talented Tom ‘Onion’ Webb freehand graffiti-ing the horse and sign writing, with the fourth wall featuring all the kids drawings in a fun collage. 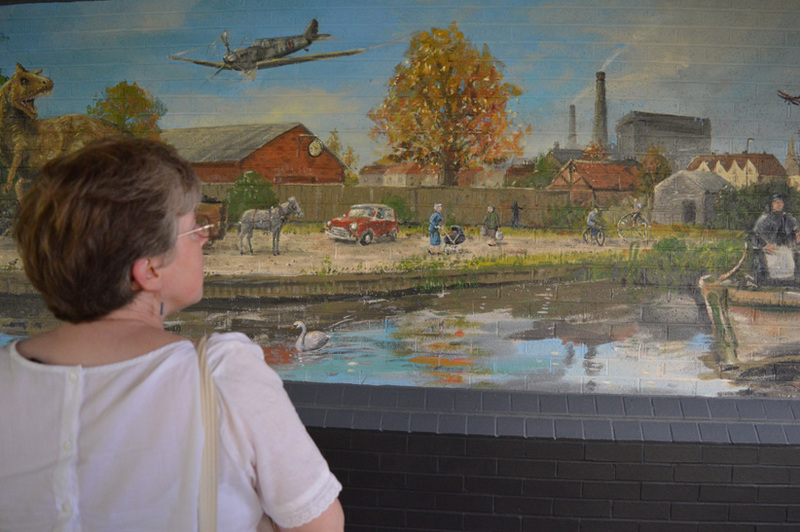 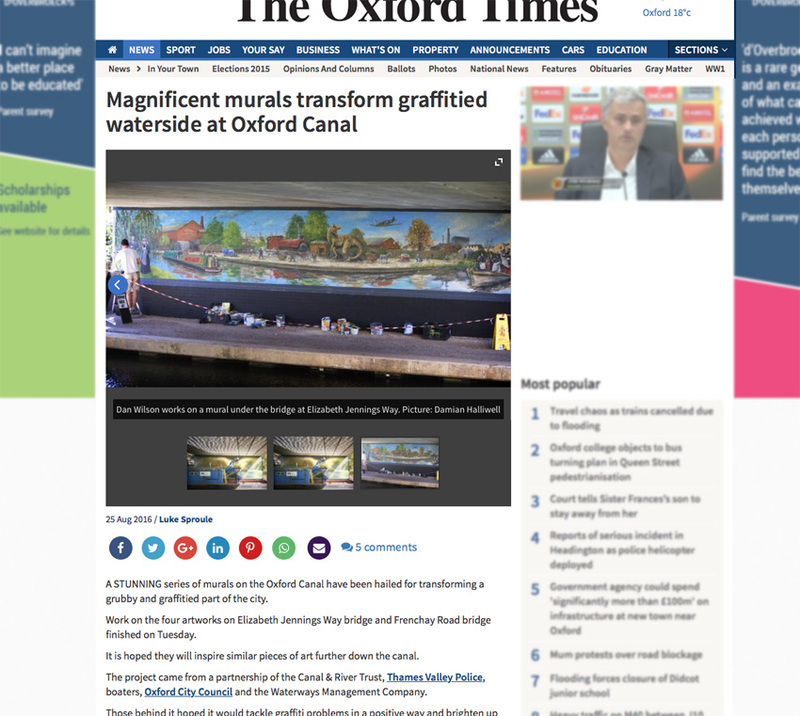 The murals were ‘opened’ in September 2016 and featured on regional BBC news TV and online as well as in local press and radio. 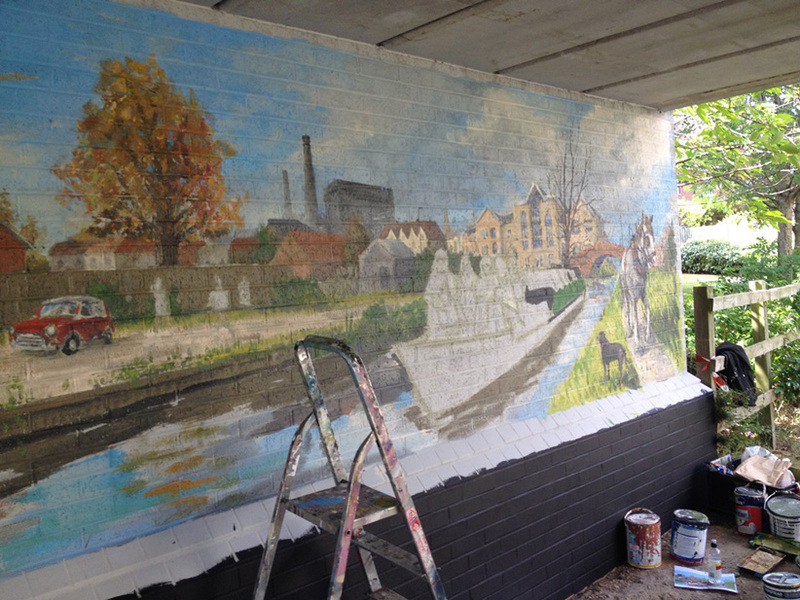 This project was funded by the Tesco 5p carrier bag scheme. 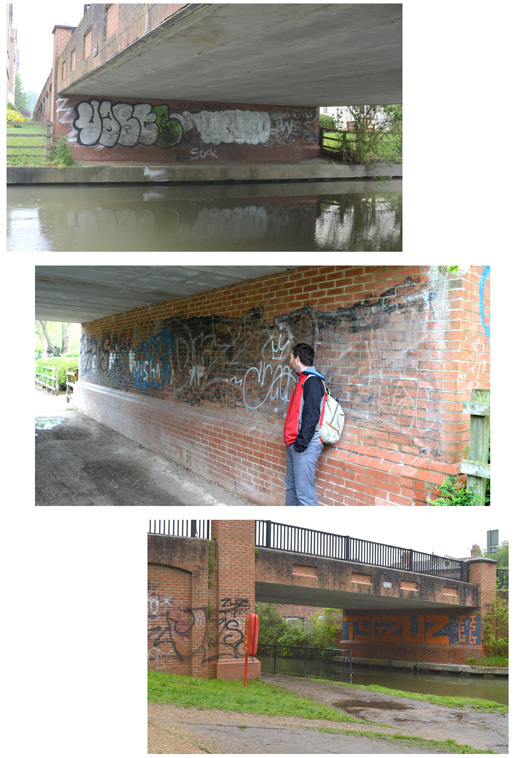 In June 2017 we returned to paint the arches on Frenchay Road Bridge, just as this project was added to the list of finalists for the Annual ‘Living Waterways’ awards (presented by the Canal & River Trust). 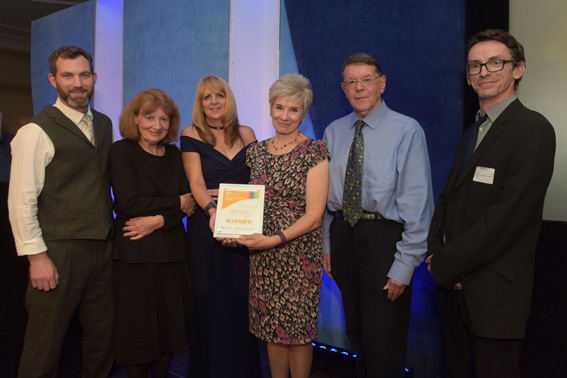 Our proud team attended a black tie ceremony in Birmingham and gratefully received the award as Winner of the ‘Art & Interpretation’ category. 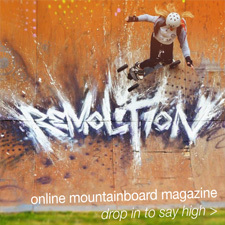 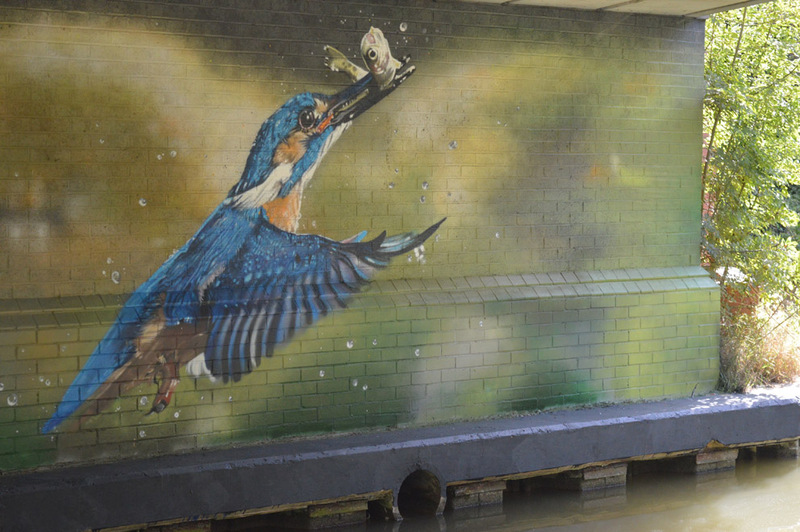 See a short film with all the finalists here. 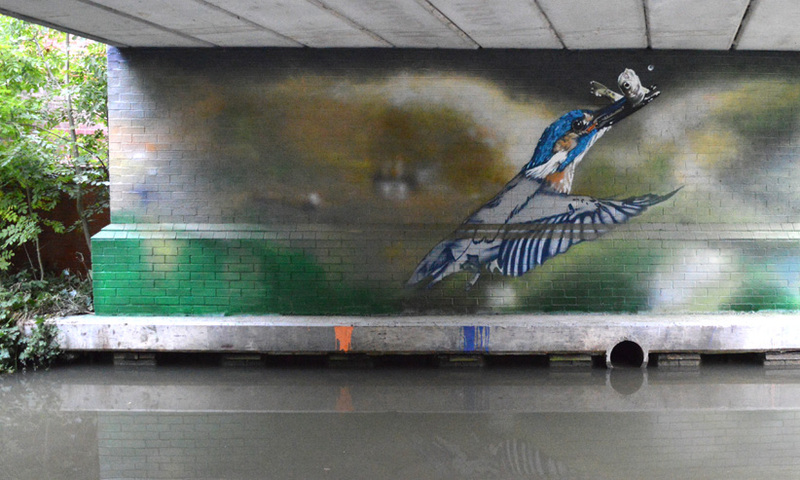 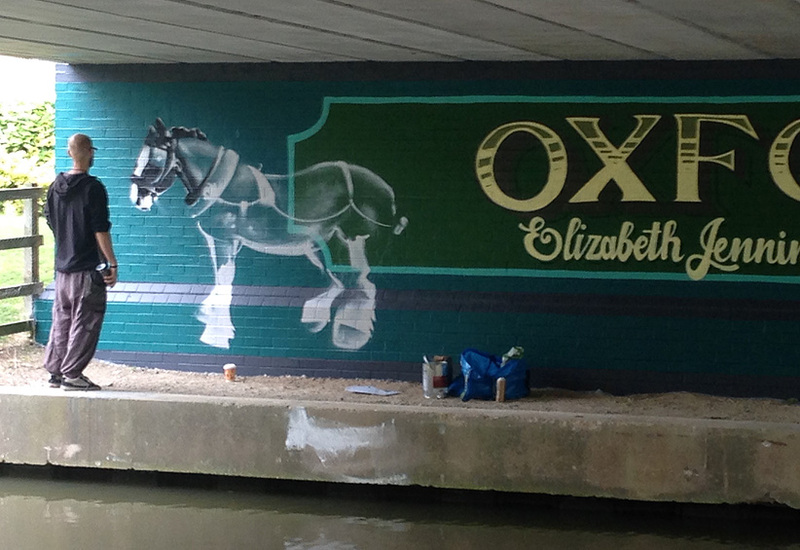 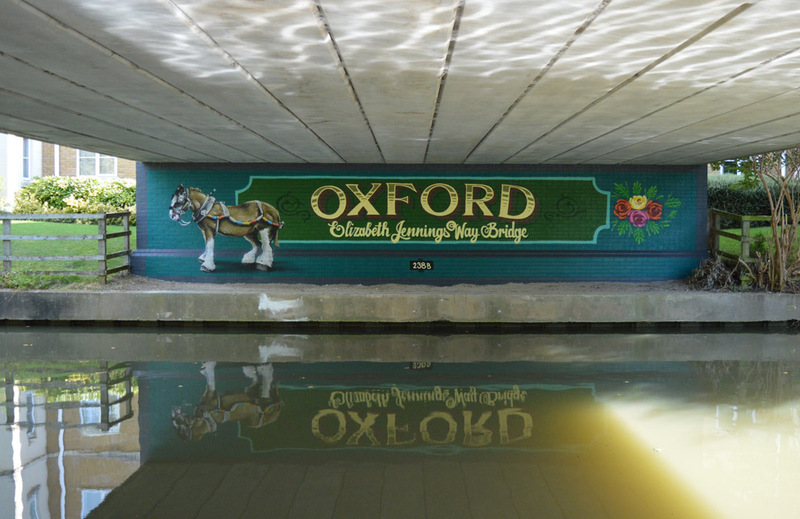 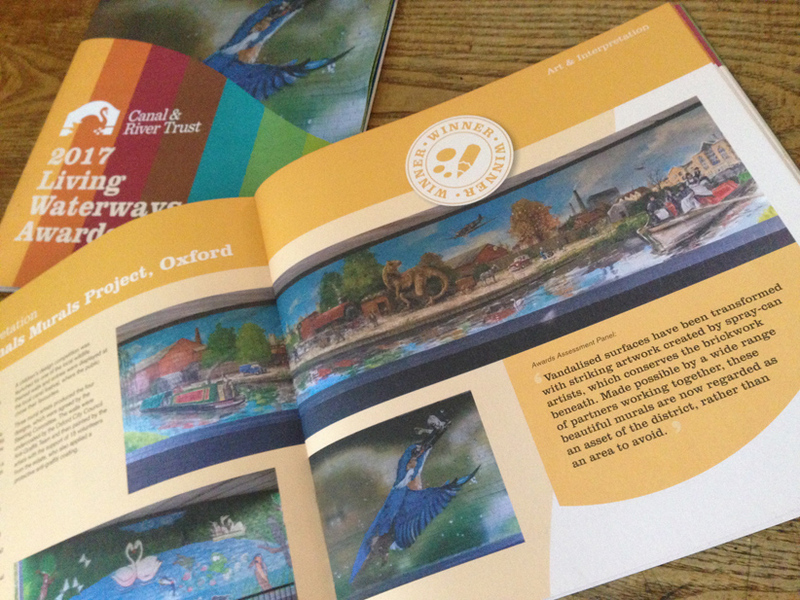 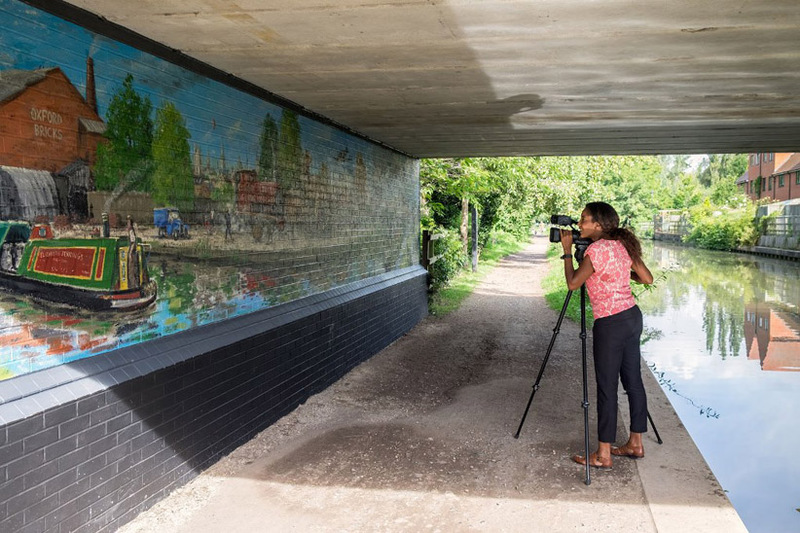 Art Direction and production of 4 public murals under canal bridges near Summertown in Oxford.